Important: Your audio must meet the format specifications below to go live in the digital stores. Content holders are responsible for properly formatting their content. 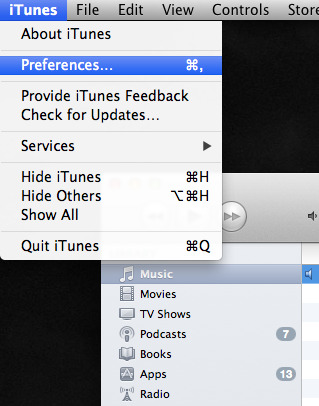 Once you've clicked Preferences ,make sure you are on the General tab. 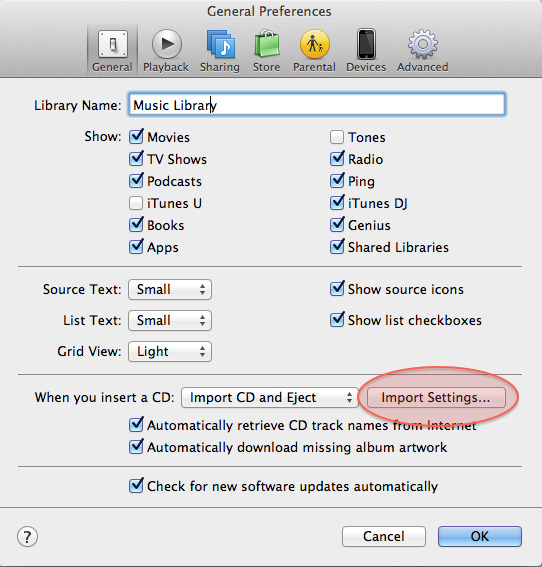 Go down to where it says Import Settings (if you have an older version of iTunes, you may have to click where it says Advanced and then click on Import Settings ). With your song title(s) still highlighted right click and select Create WAV version. Your song(s) will immediately begin converting. 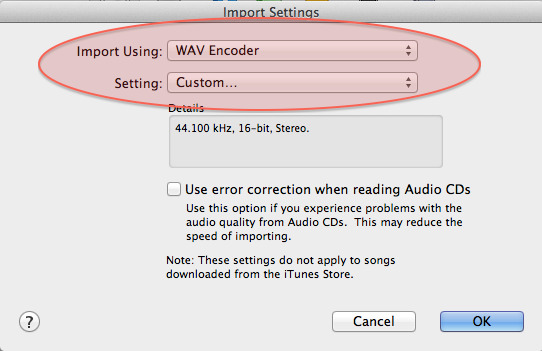 If you have a newer version of iTunes you may need to go to File , click Convert and "Create WAV Version"
You can upload your new audio file(s) to TuneCore. 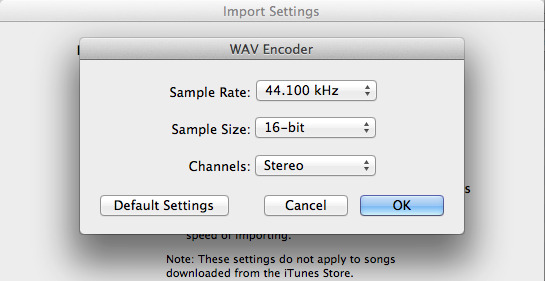 If you are exporting from a recording program or importing the audio from a CD (also called "ripping"), you can change the settings/preferences of your export to be 16 bit (sample size), 44.1 kHz (sample rate), 1411 kbps (bit rate) stereo WAV files. NOTE: If you're using an audio converting website that is not professional software or iTunes, we strongly recommend that you convert your audio again in iTunes afterwards to the required format. Other programs can often embed hidden coding within your audio files, which will likely make the files unrecognizable by the digital stores and cause your release to be rejected.